Of Mice & Men is an American metalcore band from Orange County, California. The group was founded by Austin Carlile and Jaxin Hall in mid-2009 after Carlile’s departure from the band Attack Attack!. 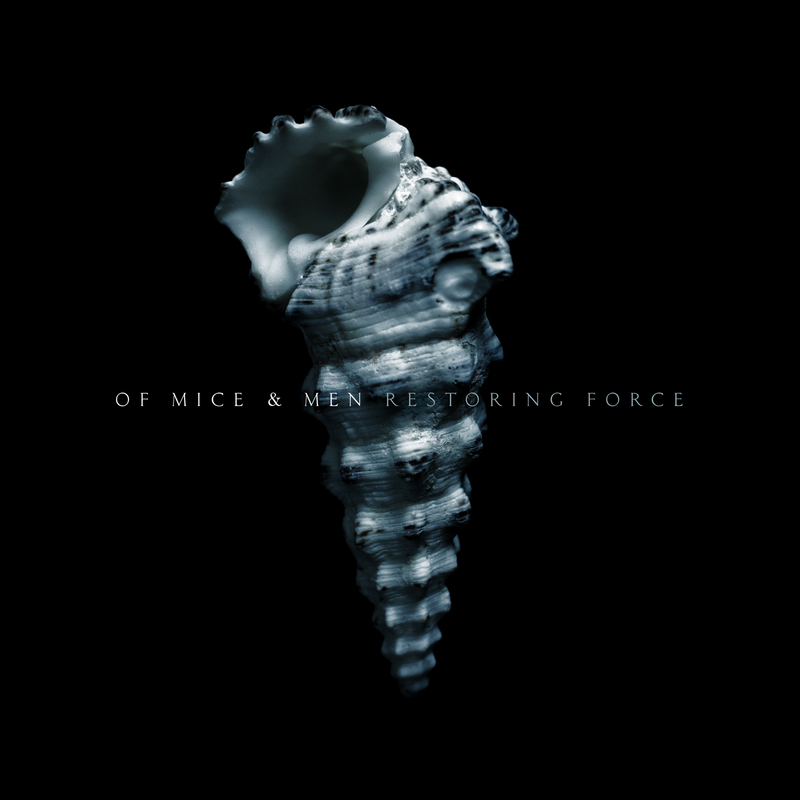 The above is the cover artwork of Restoring Force, the third studio album by Mice & Men. It was released in January through Rise Records. The font used for the text on the cover is Classic Roman (except the “&”), which is an all-caps roman font by Monotype. You can view more details about it here. In addition to Restoring Force (Of Mice & Men), Classic Roman typeface is also used in the following logos, movie posters or album covers etc., including: Dead Poets Society, In the Heart of the Sea.